Spell checks and grammar checks in applications are incredibly helpful. These tools will often fix issues as they occur, and can improve the overall quality of your document with almost no additional effort on your part. 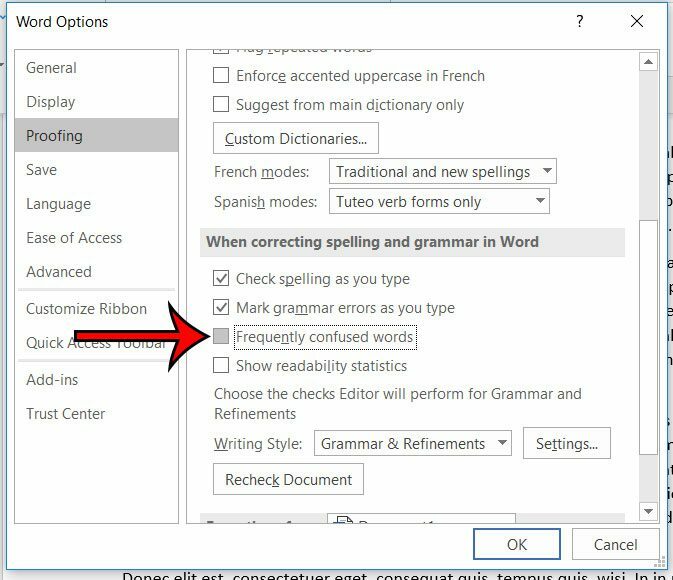 One of the features that Word for Office 365 employs for these tools involves the correction of frequently confused words. Basically Word can understand what you are trying to say through the context of your sentence, and will correct a word if it is one that is commonly used incorrectly. But you might intentionally be using that incorrect word, or you may find that your writing style is not helped by this addition. 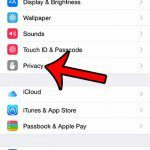 Our tutorial below will show you how to turn off this setting. 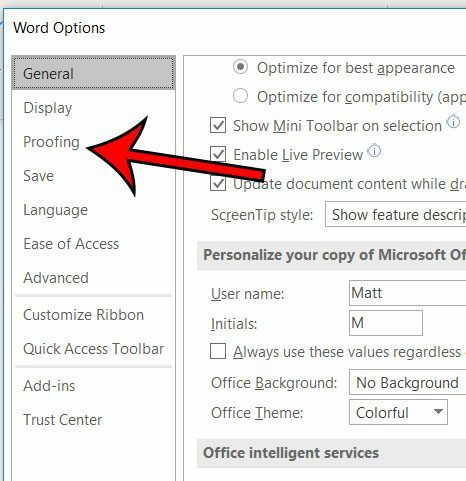 The steps in this article are going to turn off a setting in Word for Office 365. 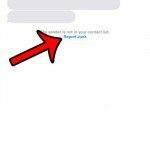 This will not affect other spelling and grammar checks that the application performs. 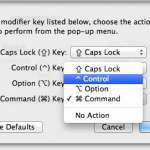 Note that this option is not available in every version of Microsoft Word. Step 4: Choose the Proofing tab at the left side of the Word Options window. 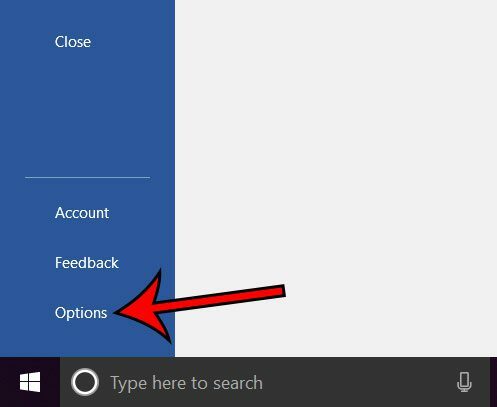 Step 5: Scroll down and click the box to the left of Frequently confused words to remove the check mark, then click the OK button at the bottom of the window. 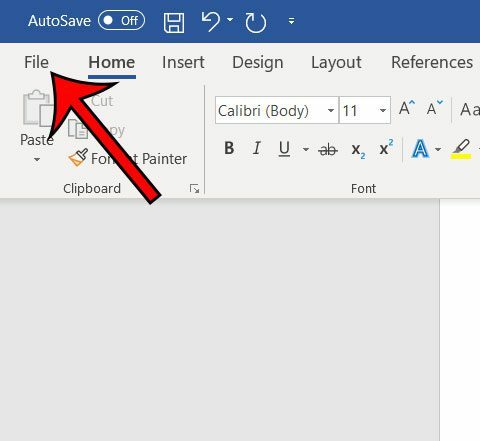 Do you use columns in your Word documents? 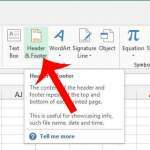 Find out how to include column dividers if you find that your column documents can be difficult to read at times.